My new book about Pappy! If there was a name that brought instant recognition to the minds of Army Air Corps veterans of the Southwest Pacific, it's that of Lt. Colonel Paul Irvin "Pappy" Gunn. Pappy Gunn made an impression on the minds of those who knew them - and those who only knew of him by word of mouth - that has remained with them forever. He was one of the true characters of World War II and a full-fledged hero to boot, but he was more than that as well. Paul Irvin Gunn was born in Quitman, Arkansas, a small town north of Little Rock, in 1899. He saw his first airplane at a tender age and immediately decided that was what he was going to do when he grew up. World War I broke out just as he entered adolesence and by the time the United States entered the war, Paul was seventeen years old and an expert mechanic. After being arrested for running moonshine, at the suggestion of the judge the young PI Gunn joined the Navy and became an aviation machinists mate, after initial training as - a cook! His mechanical aptitude had led to a transfer to the motor pool, then an astutue chief machinist recognized that he had a natural talent for mechanics and had him transferred to the flight line as an aircraft mechanic. The war ended before he could realize his dream of becoming an aviator but he managed to learn to fly on his own. He met his wife Clara while he was learning to fly. When they were married a year later, they went on their honeymoon to Biloxi, Mississippi in the Navy surplus seaplane Paul and a buddy had bought and restored to flying condition. When PI's enlistment in the Navy ended in 1923, he was told that if he would reenlist he would be assigned to a new aviation program for enlisted aviators. His previous flying experience served him well and he was soon recognized as one of the best pilots in the Navy. As an enlisted aviator, he served as a fighter pilot with the Navy's famous "Top Hat" fighter squadron and spent a tour as a flight instructor at Pensacola, Florida. While instructing, PI Gunn instructed some of the most famous names in Naval aviation, men who would rise to prominence in the World War II and post-war Navy. By the time America found itself in World War II, PI Gunn had retired from the Navy and, after working for a time in Hawaii, had moved to the Philippines where he was operating a small airline. A few days after World War II broke out, the former enlisted naval aviator was impressed into the United States Army. He was commissioned as an officer with the rank of captain and his flight operation became the nucleus for a small air transportation squadron charged with providing airlift to US military forces in the Philippines. During the tragic early weeks of the war, PI Gunn flew all over the Philippines in his Twin Beech light transports and the makings of a legend was born. During his flights he often dodged Japanese aircraft and was shot down over the jungle on one occasion. He managed to walk out of the jungle to an airport that he knew to be not far from his crash site and when he got there he found one of his pilots off-loading supplies. While flying low over the jungles, PI Gunn thought about how low-level flying over the treetops afforded an element of surprise and he speculated as to the damage an airplane with a nose packed with guns could do to enemy ground forces. In early 1942 the Army's Far East Air Force organized an Air Transport Command in the Philippines and Captain P.I. Gunn was placed in command. The new outfit consisted of a number of Douglas DC-2s and DC-3s along with some Army C-47s and C-53s, both of which were militarized versions of the DC-3. It also included a trio of converted B-24 Liberator bombers that had been sent to Australia with crews trained for transport operations. Just what all PI Gunn and his crews did during this period is not fully known and never will be, but the crews, particularly those flying the B-24s, flew long and hazardous missions hauling supplies to the Philippines and elsewhere in the Pacific and returning to Australia with military evacuees. In addition to his flying, Captain Gunn took upon himself the responsibility of finding repairable airplanes and organizing crews to repair them and pilots to fly them. Because of his knowledge of the Pacific, he was called on to lead a formation of P-40s north from Brisbane and then to Java. Once he got to Java, PI Gunn got into the war himself. According to legend, he flew combat missions in Whirraway fighters with Australians at Rabaul until he was shot down and again found himself walking out of the jungle. His son Nat relates that his father's hair turned white while he was surviving in the jungle and when he returned to safety his friends started calling him "Pappy" because he appeard to have aged. His hair did not stay white, however - after a few weeks it had returned to its original color of brown. Shortly after his arrival in Australia, Pappy Gunn became acquainted with Lt. Colonel James "Big Jim" Davies, a dive-bomber pilot and the commander of the 27th Bomb Group. Davies and his men had been on the way to the Philippines when the war broke out and they had arrived without their airplanes. Davies and some of his pilots were among those who were evacuated out of the Philippines when they were sent to Australia to pick up some Douglas A-24 "Dauntless" dive-bombers. Thinking they were to go back to the Philippines, the A-24 crews instead were sent to Java. After General Douglas MacArthur arrived in Australia and began reorganizing the Allied forces, the A-24s went to New Guinea. Although the Navy version of the "Dauntless" would play the major role in the Battle of Midway, the airplane was too slow and poorly armed to survive if attacked by Japanese fighters. The dive-bomber crews fought bravely but were taking heavy casualties. When they returned to Australia after the Allied defeat in Java, the 27th was disbanded and the men were assigned to the recently arrived 3rd Attack Group and placed in command positions in the squadrons due to their combat experience. The 3rd Attack Group had been equipped with Douglas A-20 light attack bombers but their airplanes had yet to arrive in Australia so the group continued to fight the Japanese with the inadequate A-24s. 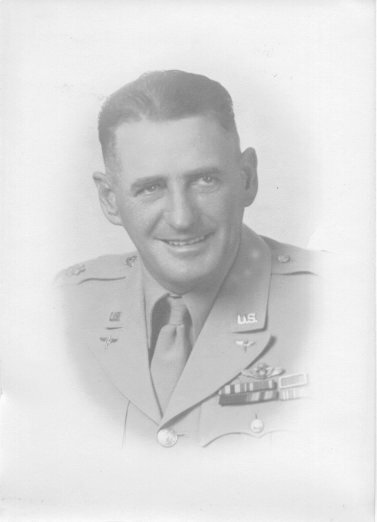 After returning to Australia, Pappy Gunn returned to his air transport duties, but he spent much of his spare time hanging out with the 3rd Attack Group and helping the mechanics. During a flight to Melbourne, Pappy spotted a couple of dozen brand-new North American B-25 "Billy Mitchell" bombers sitting on the flight line of an airfield he happened to fly over. Since they looked like combat airplane, he landed to check them out. The airplanes had been consigned to the Netherlands East Indies Air Force but Java had fallen while the airplanes were enroute and the NEAF was practically non-existent. On the other hand, there was a contingent of American twin-engine pilots at Charter Towers with no airplanes to fly. Pappy contacted the 3rd Attack Group and informed Big Jim Davies that there were some brand-new B-25s at an airfield near Melbourne with nobody to fly them. (Some accounts are that the B-25s had been delivered to Brisbane but this is doubtful because they had been flown over from Sacramento by civilian ferry pilots employed by Consolidated Aircraft and the delivery point was Melbourne.) Thus began one of the most humorous and unorthodox events of World War II. Pappy convinced Davies to contact Colonel Eubanks, the Far East Air Forces Bomber Command commander and obtain "authorization" to pick up the airplanes. Fearing an international incident, Eubanks hesitated but gave Davies a letter authorizing him to pick up the bombers. Davies and several of his pilots loaded aboard Pappy's C-47 and flew down to Melbourne. When they got there a rigid Army major at first refused to release the airplanes - until Pappy threatened him with a courts martial! Davies and his men jumped aboard the B-25s and flew them north. As it turned out, no one had thought to get the bombsights that had come with the bombers. Pappy jumped in a transport and returned to Melbourne, where he allegedly used the threat of force to obtain the bombsights. (That the bombsights were in Melbourne is further evidence that this is where Gunn and Davies "stole" the bombers. Bombsights are aircraft equipment and were transferred to the NEIAF with the B-25s.) Just what he actually did he never did tell and no one at Melbourne was willing to comment. Although he was still officially with the Air Transport Command, Pappy took charge of the conditioning of the B-25s for combat, promising to have them ready in "two days." It took a little longer but on April 5, 1942 the 3rd Attack Group flew the first B-25 combat mission in history as they attacked the Japanese airfield at Gasmata. The following day Davies and Gunn were called to Melbourne, along with one of the other "senior" officers in the 3rd Attack Group. The three men were expecting to be called on the carpet and perhaps arrested for stealing the B-25s from the Dutch, but when they got there they were greeted by Brigadier General Ralph Royce, who was in command of bombing operations in the Southwest Pacific. Royce had been directed to go back to the Philippines and carry out offensive operations from Del Monte Field on Mindanao and the B-25s afforded the means of doing so. As it turned out, only three B-17s and eleven B-25s could be made ready for the mission. Gunn was given a verbal order transferring him from the Air Transport Command to the 3rd Attack Group as a maintenance officer and assigned to the mission. The fourteen bombers left northern Australia for Mindanao on April 11. Their cabins were laden with supplies for the airmen who were stranded at Mindanao and were still fighting the Japanese. The men of the Royce Mission flew three missions from Del Monte. While the three B-17s attacked Nichols Field outside Manila, the B-25s carried out two missions against Japanese facilities at Cebu City. Pappy Gunn led one element on the second Cebu mission and was assigned to attack the harbor. He and his wingmen are reported to have destroyed at least one Japanese motor launch and badly damaged a merchantman. The bombers were escorted by P-40s that were operating out of Del Monte. Reasoning that the attack could have only come from Mindanao, the Japanese attacked Del Monte several times. One of the B-17s was destroyed and the other two were damaged but the B-25s were well-hidden and escaped the attacks unscathed. The B-25s flew another mission the following day but Pappy Gunn was not on it. He had been ordered to Panay to pick up Japanese-American intelligence agents and a Chinese officer who had been flown out of Corregidor earlier in the day. (They were supposed to be flown on to Del Monte by Major Bill Bradford, the commander of an ad hoc transport squadron at Del Monte, but Bradford's engine had problems and had to be repaired.) But when General Royce learned that Japanese ground forces were within 24 hours of the field, he decided it was time to abandon the field. The pilots loaded as many American airmen aboard their airplanes as they could and the B-25s departed for Australia. Pappy Gunn was the last to leave and the last to arrive - the long-range fuel tank for his bomber had been shot-up by Japanese strafers and he had to make an emergency repair. According to reports, he remained on Mindanao for perhaps as long as two weeks flying combat missions. A little-known interview of Major Bradford indicates that Gunn remained at Del Monte for several days to fly high priority passengers Bradford was sent to fly out of Corregidor to Australia. Bradford made it to Corregidor on what had been called a "suicide mission" but cracked-up on takeoff. Bradford told an Air Corps interviewer that he was expecting to be flown out of Del Monte on one of the Royce mission B-25s but was stranded on Corregidor. He was flown out on a Navy PBY that made the last flight out of Corregidor. The 3rd Attack Group used the B-25s with great success against the Japanese but there weren't enough of them to go around, so some crews continued to fly combat in the A-24s. But a disasterous mission in New Guinea in late July led Big Jim Davies to decide to discontinue operations with the dive-bombers. Prior to leaving Savannah Georgia, the 3rd had been flying A-20 light bombers and their airplanes finally began arriving in Australia in April but when the bombers were off-loaded from the ship, they were discovered to have been shipped without either guns or bomb racks. When Pappy Gunn inspected the A-20s he advised Davies that the gun installations were inadequate - he wanted to remove the bombardier's station and pack the nose full of .50-caliber machineguns and use them for low-level attack. As it were, Australia had plenty of .50-caliber guns around, wing-guns that had been salvaged from wrecked fighters. Gunn worked up a nose package of six machineguns, with four in the fuselage and one mounted on either side. He was in the midst of the modifcations when Major General George C. Kenney arrived at Charter Towers on an inspection tour in early August. Kenney had recently taken command of Allied air forces in Australia, including American units - which he organized into the United States Fifth Air Force - and was getting acquainted with his men. He found Pappy Gunn working on the A-20s and when the installation was explained to him, he asked if they could build bomb racks that could carry the 27-pound fragmentation bombs he had himself developed before the war, and which had recently arrived in Australia. Pappy said it would be no problem - the concept of spreading fragmentation bombs all over a Japanese airfield or troop positions appealed to him. Kenney was very impressed with Pappy Gunn; he recognized that he had just met a fellow innovator. And, he realized that Gunn's talents were too many to be restricted to a single unit. He informed Major Gunn that, effective immediately, he was relieved of his duties with the troop carriers and was transferred to his personal staff. However, he could remain at Charter Towers long enough to train the Army mechanics to complete the installation of the guns and bomb racks on the A-20s. Historians - particularly naval historians - consider the Battle of Midway as the turning point of World War II. That's when a formation of SBD "Dauntless" dive bombers got lucky and sank most of the Japanese carrier force in five minutes. But after Midway it was more than a year before the US Navy was able to go on the offense in the Pacific. The Army went on the offensive in New Guinea as soon as Pappy Gunn completed his installation of the nose guns and the para-frag bomb racks in the A-20s. The real turning point of the war was when Pappy Gunn decided to turn the A-20 from a light bomber into a formidable ground attack weapon. The A-20 gunships were a feather in Pappy Gunn's hat, but an even more powerful weapon was to follow. While enroute to Australia, General Kenney had experimented with the concept of skip-bombing and had put his aide, Major Bill Benn, in command of a B-17 squadron with instructions to develop low-level attack methods. But the four-engine bombers were lacking in forward firing guns and were practically defenseless against Japanese deck gunners so Kenney ordered that they only attack at night. Pappy Gunn had suggested that once the A-20s had been modified, the practice should be carried over to the B-25s. Kenney recognized that the B-25 modification might be the best solution to his problem of finding a "commerce destroyer" that could be effective against Japanese shipping in low-level daylight attacks. After the A-20 conversion proved itself, he gave Pappy permission to begin work on a similar conversion for the B-25s. By December the project was nearly complete. Kenney picked a new arrival, Major Ed Larner, who had risen from first lieutenant to major in just a few weeks because of his daring in low-level attack, to take command of the 90th Bombardment Squadron, the unit he had picked to operate the modified B-25s. He introduced Gunn to Larner and told him to teach the young officer how to skip-bomb. When the squadron was fully equipped, it moved to New Guinea to wait. In early March 1943, the converted B-25s teamed up with the modified A-20s in the historic Battle of the Bismarck Sea. The epic battle is recorded by US Navy historian Samuel Eliot Morison as "The most devastating attack of the war by airplanes against ships." The first low-level attack on the morning of March 3 literally stopped the convoy dead in the water. A second attack later in the day finished the job. Not a single one of the twelve transports in the convoy survived the battle - one cripple was sunk by a Navy PT boat - and four of the eight destroyer escorts were also sunk. Suddenly Pappy Gunn's fame spread to no less of a portal than the War Department in Washington, DC. Army Air Corps chief General Henry H. Arnold wanted to bring Pappy back to the States to work with the engineers at Wright-Patterson AFB, Ohio but General Kenney would have none of that. He agreed to allow Pappy go come to the States on temporary duty - during his visit Pappy showed the engineers at Wright Patterson and the North American factory how to convert the B-25 into a gunship. During his visit to the factory at Long Beach he was shown North American's own conversion - the installation of a 75-millimeter cannon in the nose of a B-25. Shortly after he returned to Australia the first cannon-equipped B-25 arrived and Kenney gave Pappy permission to test it in combat and make the necessary changes to ready the new airplanes for operational duty. Pappy was impressed with the Big Gun and made several spectacular kills with it - and he also made several changes to the design, including the addition of waist and tail guns. In reality, although the B-25G is held in high regard among aviation enthusiasts today, it was actually not very effective and most of the cannons were removed and replaced with .50-caliber guns. Pappy had been fighting his own personal war since leaving the Philippines. His wife and children were all in the hands of the Japanese and the knowledge burned inside him in spite of his jovial exterior. 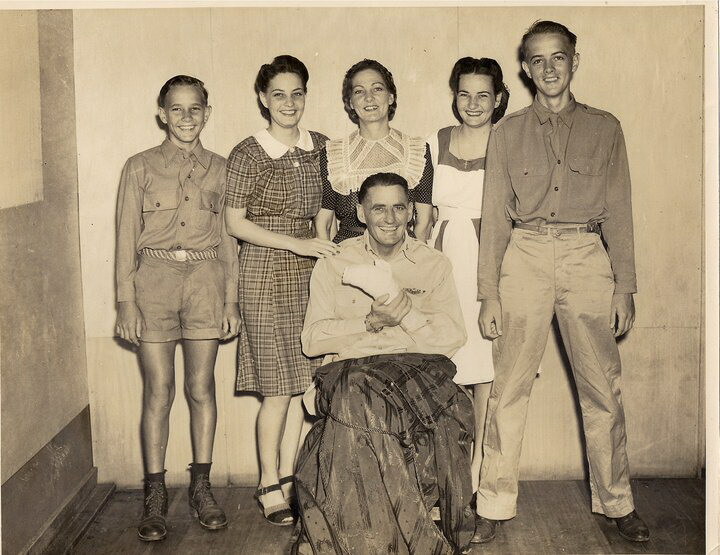 Pappy had a reputation among the young officers and enlisted men as a teller of tall tales and he was always ready with a story. He was also looked on as a hero, and a hero he truly was. 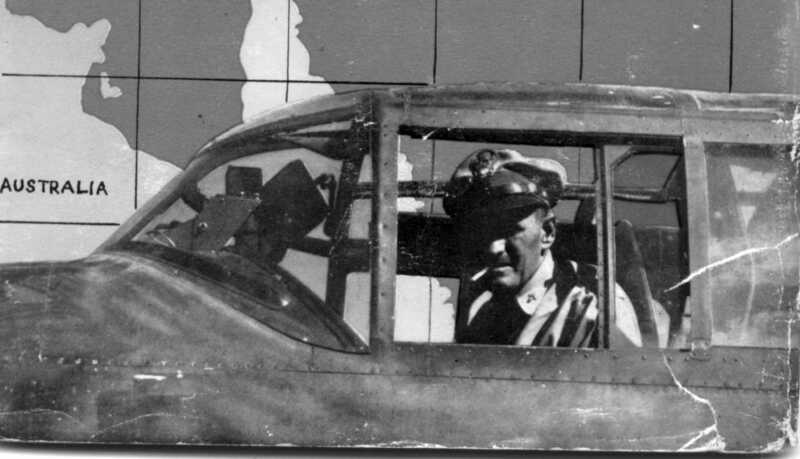 General Kenney was afraid that Pappy would decide to take the war to the Japanese on Luzon himself and he issued orders that Gunn was not to be allowed inside an airplane. The war ended for Pappy Gunn when he was severely wounded by fragments from a white phosporous bomb that was dropped on the airfield at Tacloban. A bomb fragment buried itself in his shoulder, causing great pain and rendering the arm useless. Pappy was evacuated to Australia and remained in convalesence until the end of the war. When US troops landed on Luzon, General Douglas MacArthur personally ordered a "flying wedge" of the 1st Cavalry Division to liberate Santo Thomas Internment Camp, where the Gunn family was being held. Col. Dave Hutchinson, commander of the 308th Bombardment Wing, a special unit that controlled operations in forward areas, went with them to find the Gunn family. Two weeks later MacArthur visited the camp and met the family, then put them on an airplane bound for Australia to join the dad who had become famous throughout the Pacific during the preceeding three years. After World War II ended, Pappy Gunn returned to the Philippines and resumed his work with the Philippines Air Lines, then with his own charter company. His biggest customer was the US government, which contracted with his airline to deliver cargo and passengers to areas where it didn't want to have a public presence. He was killed in an airplane crash while trying to avoid a tropical thunderstorm in 1957. His remains were returned to the United States and interred at the US Navy cemetary at Pensacola Naval Air Station, where he had spent much of his naval career. But his memory still lives in the hearts and minds of those who knew him. The Gunn Family Story Needs To Be Told - Like on Facebook. The following books might be of interest to Pappy Gunn fans. John P. Henebry knew him in the Southwest Pacific. Nathan Cannon is the pen name of his son Nathaniel. Where The Hell is Indonesia Anyway tells the story of the Gunn's involvement in US covert operations in Indonesia in the 1940s.